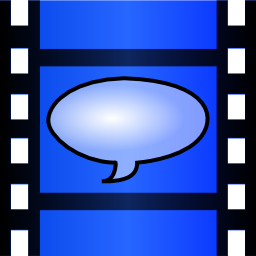 All subtitles are visualized in the timeline view. 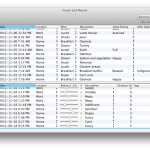 Selected subtitles will visualize overlapping to neighboring subtitles, in addition to the non-selected subtitles with overlapping times shown in red in the table view. Draggable start and end markers, which are used to add new subtitles or apply to existing subtitle start and end times. Markers can be moved individually, or panned together across the timeline. Show start and end marker position in real time while dragging. Scrub through the reference video by dragging the markers. Markers can also be nudged in either direction by a quarter of a second at a time. Zoom in and out of the timeline, changing the current scope of your view of the timeline. Panning the current scope relative to the timeline as a whole. Display of the scope start and the scope end times. Timeline panning and zooming are done with left mouse drag and right mouse drag respectively, complete with Shift and Control key modifiers to make it go faster or slower. The preview is now layered right into the video view, rather than the hacky looking floating window. This also means that for now you can no longer detach the preview and move it around yourself. With certain file types the QTMovieLayer appears to have much smoother video scaling than previously. The preview font is much larger and has a black shadow under it. The preview timing is accurate to 250ms now instead of 300ms. Added the ability to play a selected video segment in a loop. All human readable times shown in the application are now easier to read (dropped the QuickTime formatting). 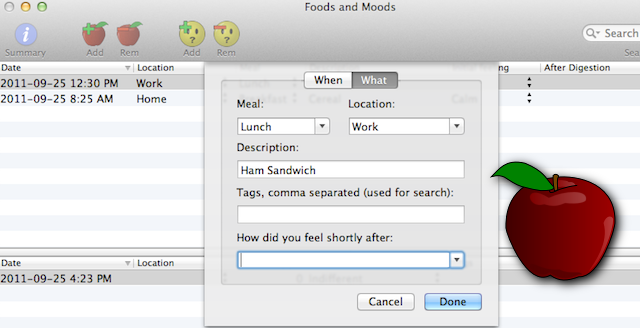 Added a more prominent Help button on the toolbar. Main menu and toolbar updates. The latest version of iKeepActive (1.2.2) is now available in the Mac App Store now. 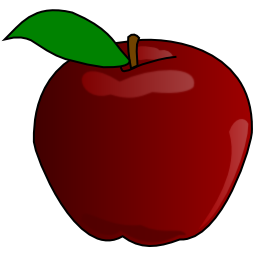 The release focus is on Mountain Lion Fixes, but other features and improvements have also been added so updating is recommended for everyone on 64-bit Intel Macs. – Added a new mechanism for tracking when scheduled activities are due in Mountain Lion. – Added support for retiring scheduled activities. 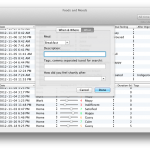 This allows you to remove an activity from your calendar while still keeping the history for tracking purposes. Retired activities can be re-scheduled. 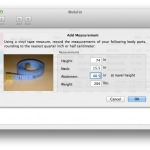 For taking girth body fat measurements, no special equipment is needed; all that is required is a vinyl tape measure. Girth is not as accurate as skin fold techniques using body fat calipers, but there has been claim of +/- 3% accuracy. However there is chance it can be wrong because you can only tell so much by circumference. – Get two body fat percentage ratings for each measurement. 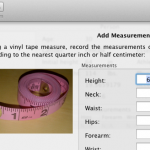 – Tracks all of your measurements by date. – Also tracks your Body Mass Index. – Designed so future versions of the application may have more formulas and body fat measurement methods. 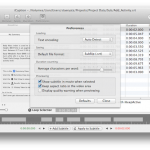 iCaption is a simple-to-use soft subtitle editor, utilizing timeline based editing. The file formats currently supported are SubRip and YouTube. What are soft subtitles? Soft subs are external files stored separately from the video file. They are called soft, because they are not hard-encoded into each video frame; they are rendered in real-time. Most modern video players support soft subs and can manage multiple files for quick and easy swapping of languages. A robust, elegant user interface. Powerful timeline editing, with or without a reference video loaded. Waveform visualization in the timeline, overlaying onto subtitle time time visualization. Transfer subtitle times from the reference video or the timeline selection. 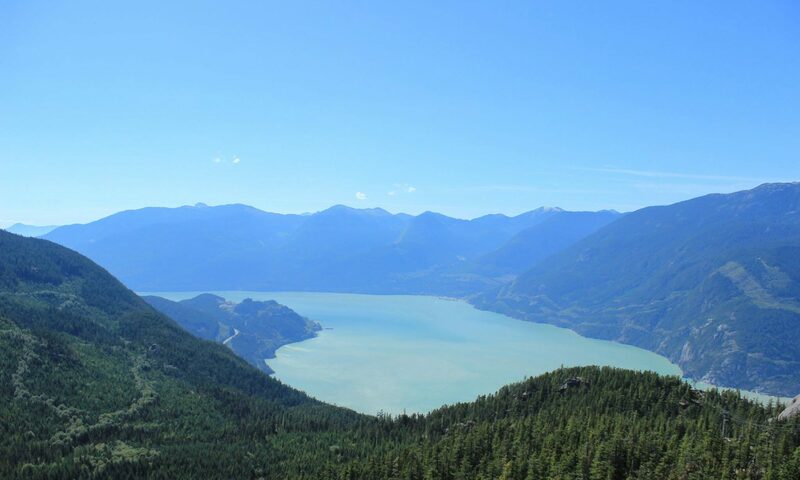 Automatically determine the subtitle duration. 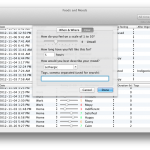 Real-time checking and visualization for overlapping subtitle times. 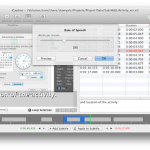 Easily adjust all subtitle times with one edit. 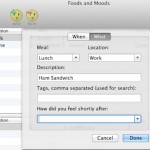 Search subtitles allows you to filter the subtitle list. Previewing allows you to test subtitles without an external viewer. Create, edit, open and save YouTube (.sbv) files. 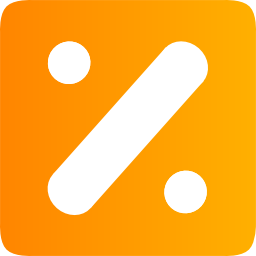 Create, edit, open and save SubRip (.srt) files. Convert SubRip to YouTube format and vice versa. Complete abstraction from the subtitle file formats. You should be able find all you need to know about iCaption in the in-app help; just click the Help button on the toolbar. For all issues/concerns not answered in the FAQ below, nor in the in-app help, email jeffrey@seatoskyware.com and include your hardware info and version of Mac OSX. Where can I get iCaption Editor? I am trying to make subtitles for an .mkv video and I can’t load it as a reference in iCaption Editor. 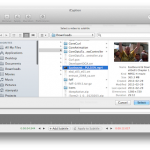 Which reference video formats does iCaption Editor support? The miliseconds for my subtitle times don’t look right. 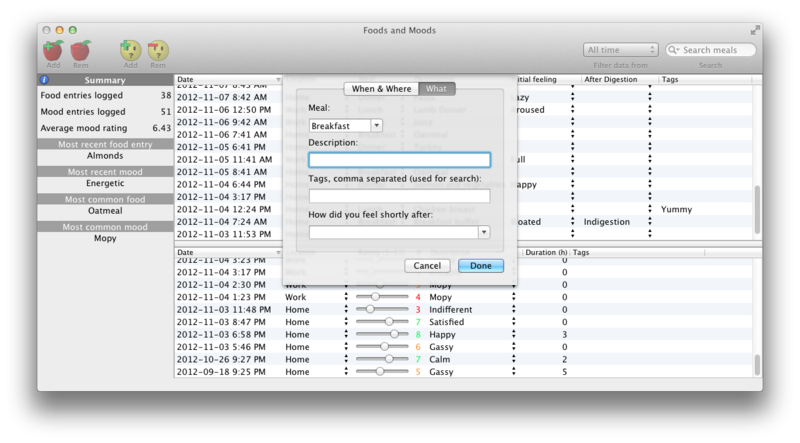 It is available in the Mac App Store. 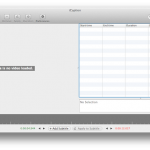 iCaption Editor uses an embedded QuickTime movie view and therefore supports only the formats supported by QuickTime. If you are the creator of the video, it is more than likely that QuickTime supports your source format. If are not the creator of the video file, be aware that creating subtitles for certain videos you do not own the rights to may be considered as copyright infringement. 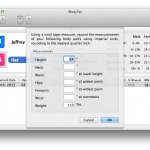 It is possible to get QuickTime add-ons for more file formats, here orhere, but that is not directly supported neither by iCaption Editor nor QuickTime. As mentioned above, iCaption Editor supports the media formats supported by QuickTime, as well as the formats supported by any QuickTime add-ons you have installed. There is nothing wrong with your subtitle times. When iCaption transfers the times from the movie, the miliseconds are shown as a timescale. This is because QuickTime understands time scales instead of miliseconds, where the number is displayed as frames/timescale, where timescale can be different between videos and frame rates. 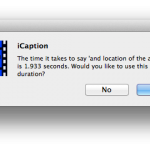 Don’t worry; upon saving the subtitle iCaption Editor will properly convert the timescale to 1000, its equivalent in miliseconds. Another thing to note is that timescales have no leading zero’s, so 62 milliseconds would be displayed in the table as .62/1000, not .062/1000. 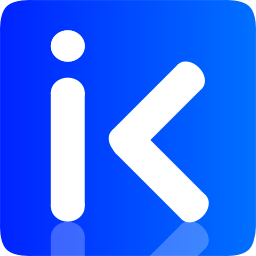 Create your workout calendar with iKeepActive! 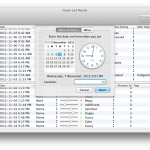 Sync to your Mac’s calendar which can then sync to your music player, phone or tablet. iKeepActive is an integrated activity scheduling system which also interactively counts Calories. Not only does it help create your activity schedule but its primary focus is to make sure you do them by displaying reminders and follow-ups. 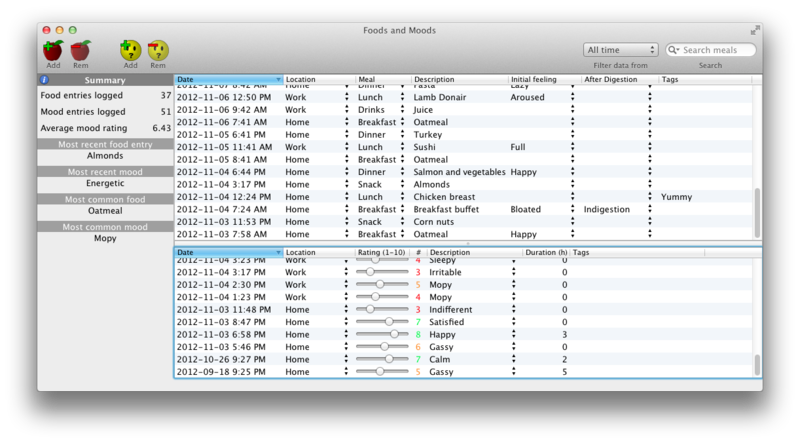 You can also use it to log your diet, analyze your progress and visualize your results.